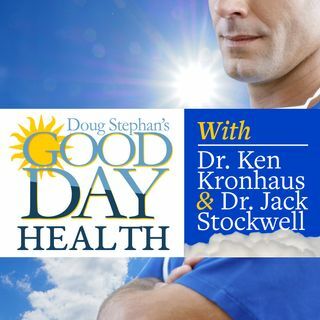 02/14/19 - Dr. Ken Kronhaus - Chocolate, Red Wine and Making Love; Great For Your Health! Host Doug Stephan and Dr. Ken Kronhaus review a new study that indicates that exercise can boost the brains of middle-age and older men. Sorry ladies! New reports show that 90% of Sleep Apnea in children is never treated, because children and their parents don't know they have it. Surprise, Measles vaccinations are increasing in the Pacific North West, due largely to over 50 reported cases have broken out. If Psychotherapy and drugs haven't helped with your Depression, there's a ... See More new medication just around the corner. New warnings about the health risks of counterfeit perfumes. Good News! Chocolate, Red Wine and Making Love are great for your health. Plus, lots more information about maintaining your Good Health.